People nowadays are looking for ways of getting rid of the debilitating pain of arthritis naturally, medical experts say. Some are hoping that simply soaking in a bath of salt may ease the pain, especially those on the hips and save them from getting surgical procedure. Unfortunately, faulty DePuy ASR hip replacement systems have prompted implant recipients and patients to file a lawsuit and wait in agony for the DePuy executives to testify. Arthritis affects the musculoskeletal system, specifically the joints. It is the main cause of disability among people over 50 years old, medical news today says. 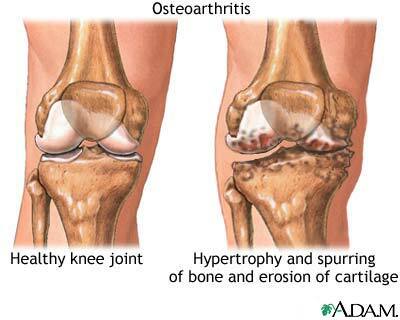 Osteoarthritis (OA) is the most common form of arthritis and generally affects elderly patients. Some forms of arthritis may affect people at a very early age. With the latest research, the inflammation caused by arthritis may now be handled naturally through saline solution which will not only help lessen the painful inflammation of the joint, but will not leave any traces of unpleasant side effects. Saline solution is a general phrase referring to a sterile solution of sodium chloride (NaCl, more commonly known as salt) in water. The study indicated that the breakthrough could transform how the condition, which affects millions, is medicated, the 'Daily Express' reported. Even ordinary table salt in high concentrations may be used. What is nice is that, compared to conventional drugs, it has no unpleasant side effects. A selecrt team from the Manchester University conducted the study on the way in which the body's cells expand and control inflammation, which is the immune system's first response to injury or infection. In the tests on mice, they discovered that by injecting a saline solution into an area of inflammation the swelling was reduced by sucking the water out of the expanded cells. "This research opens up exciting opportunities. What we've identified has the potential to be used to help so many patients," say Vincent Compan of Manchester University's Faculty of Life Sciences. Dr Pablo Pelegrin, one of the researchers, found cells in the bodies of arthritis sufferers expand but discovered that salt water may reduce the swelling by dehydrating them. The salt worked the same whether it was injected into the body or absorbed through the skin via bandages soaked in saline or bathing. This explains why hot springs, which are high in salt, are so effective. For many years millions of people go to them hoping for a miracle cure. Their popularity may reduce the number of patients getting hip implants and prevent them from suffering from the negative impact of their Depuy ASR hip problem.